JOOCY up your mornings - CHOMP! SLURRP! BURP! Breakfast is one of the heartiest and best meals there could be. But with our hustle of going places, it is also one of the most neglected meals of the day. Occasionally I clear out my day and go for a sit down, lavish breakfast spreads (which too is due for a while now) but mostly I grab a hurried bite to leave for work. 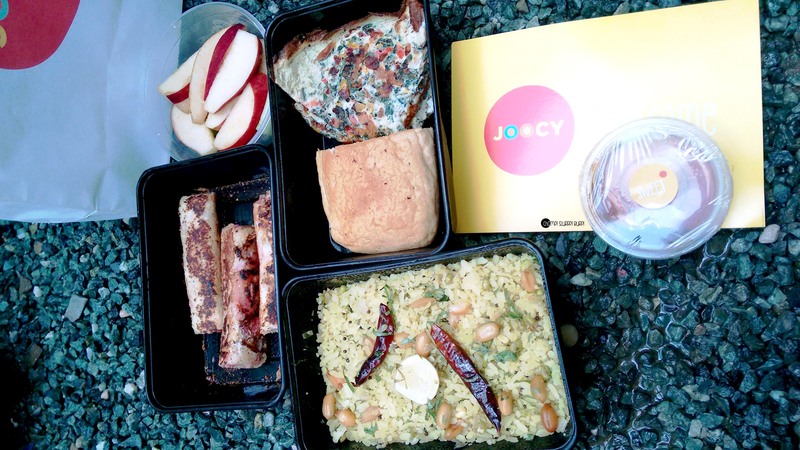 JOOCY, fits perfectly in the picture when it comes to breakfasts. Like many other delivery only outlets, they offer healthy and very palatable breakfast and lunch options. 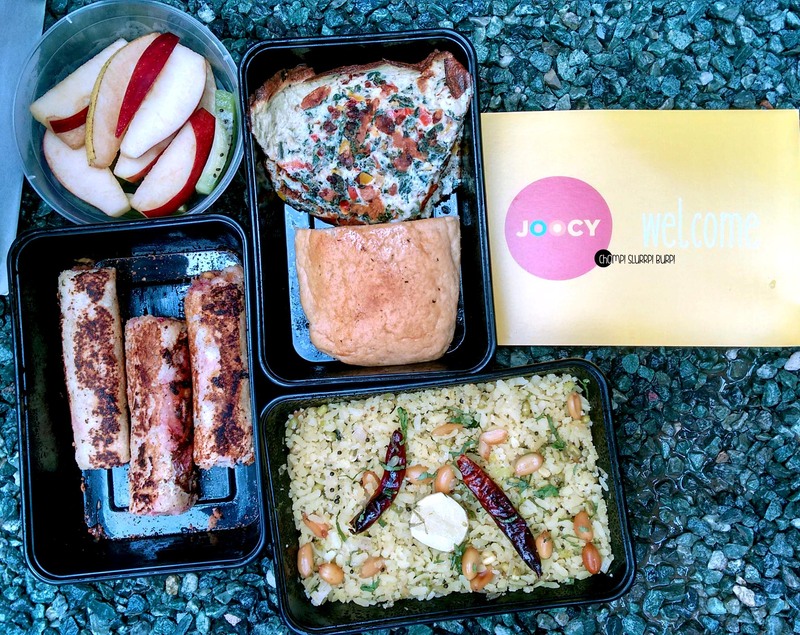 JOOCY works on the concept of a weekly menu with pre-orders so that you can choose your time of delivery and get your food to your desk or doorstep, hassle-free. I tried a selection of their breakfast items – salad, sweet and continental. The packaging is perky and everything comes up neatly labelled. Starting with the sprouts and poha salad – now I a not the biggest fan of poha – don’t judge me – but I am not. Having said that, this was a brilliant preparation! Poha and sprouts made for a very interesting and healthy combination – top it with a hint of lemon and you’re gold. Eggs frittata served with a slice of brown bread – the eggs were very palatable – bell pepper, spinach and cheese with a fluffy bounce to them. Fruit roll ups lined with jam and peanut butter topped with maple syrup. This was again a very interesting whip up. The sweetness level in the roll could be toned down a little bit to prevent a shoot up when you add the maple syrup. The meal was served with fresh cut apples, pear and kiwi. 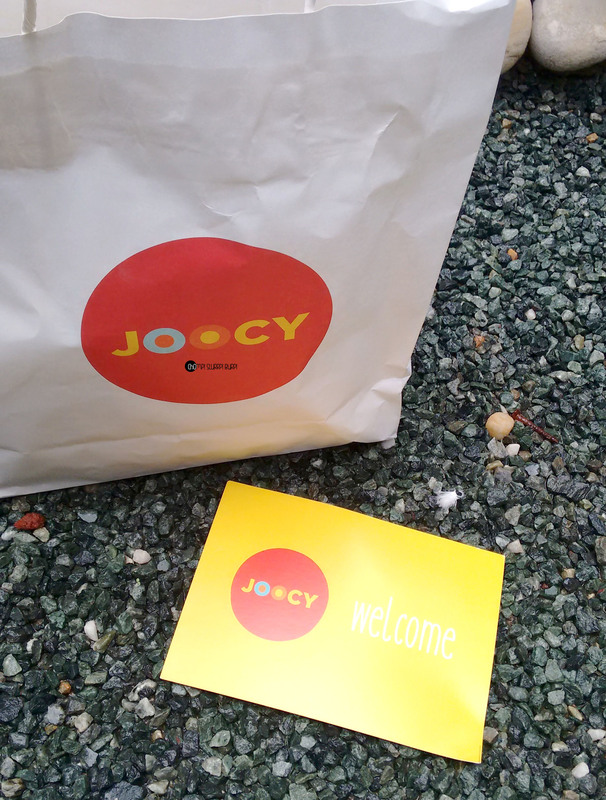 What not to miss when ordering from JOOCY? Well, I loved their eggs frittata but the poha and sprout salad too is a very interesting option.